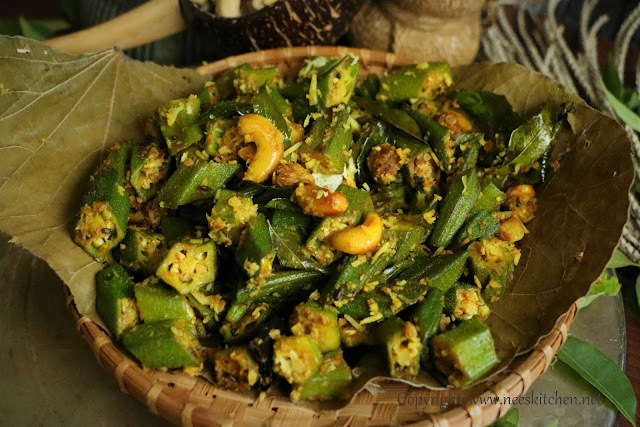 With lots of festivals ahead try this Ladies finger which is drool worthy and slightly different from the regular one.Ladies finger with cashew’s & coconuts are ideal when there are guests at home for lunch or dinner. 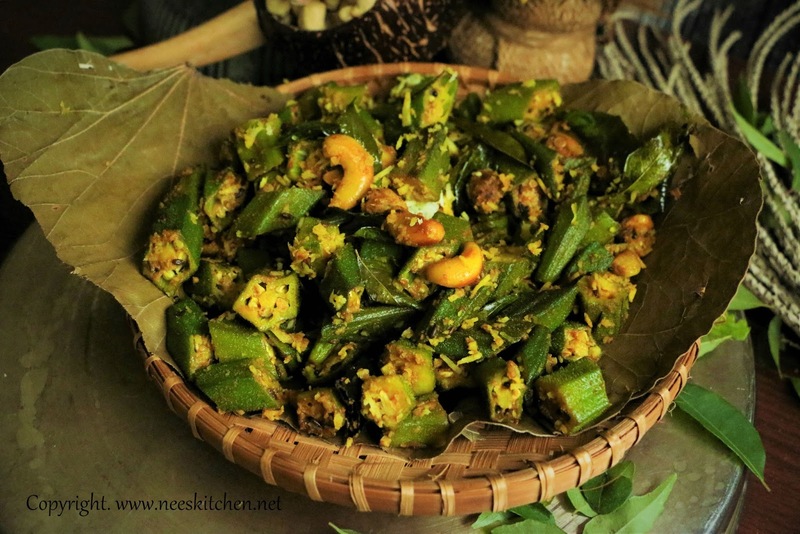 It gives richness to ladies finger and a perfect recipe for any parties & potlucks. Ladies finger is cooked with roasted cashew nuts, fresh coconut along with spices & condiments. Perfect with any rice variety. I learnt this dish from a good friend of mine Aruna who first introduced me during a party at her home. After the first time I insisted her every time to make only this dish for any potlucks or parties. Its quite simple and easy to make. 1. Cut ladies finger into small pieces. 2. Take a pan, add oil, mustard, cumin seeds, channa dhal,dry red chili and garlic. Let it get fried. 3. Add cashew nuts and cook until they are lightly browned, this would take about 1 -2 minutes only. Do not make it completely brown. 4. Add ladiesfinger, turmeric, chilipowder,salt & curry leaves. 5. Keep mixing and cook until ladies finger is fried well. 6. At this stage add fresh coconut, mix well and immediately switch off the gas. 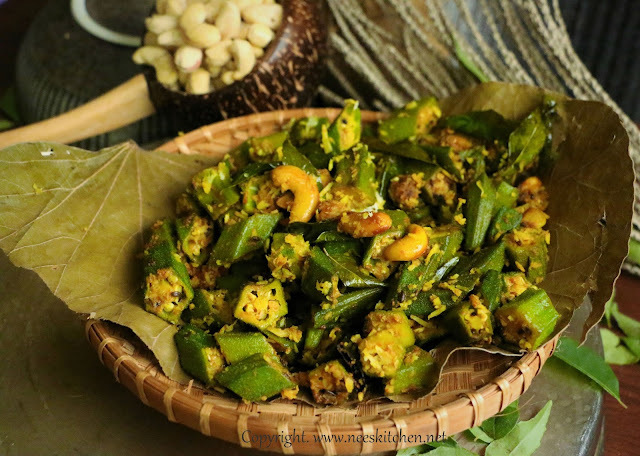 Ladies finger with cashew’s & coconut fry is ready.